Click the image for a printable flyer. Don't miss out on this fantastic opportunity offered through Headwaters at Incarnate Word! The Institute includes three workshops. Registration includes textbooks, lunch, materials, snacks, and a guided tour of the Blue Hole, head of the San Antonio River. Register for all three workshops for $25, a $115 value! Click each workshop title to register. Click here to view these workshops in our Event Calendar. Critically acclaimed wildlife-focused hands-on education program. Educator program focused on aquatic wildlife and aquatic ecology. Fieldwork-based teaching program connecting bird ecology and conservation. 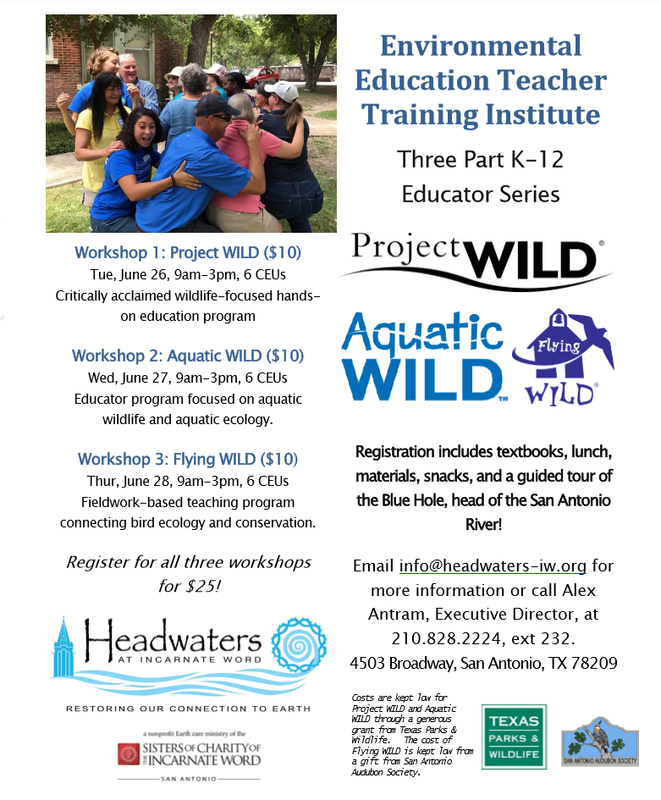 For more information, email info@headwaters-iw.org or call Alex Antram, Executive Director, at 210.828.2224, ext 232. 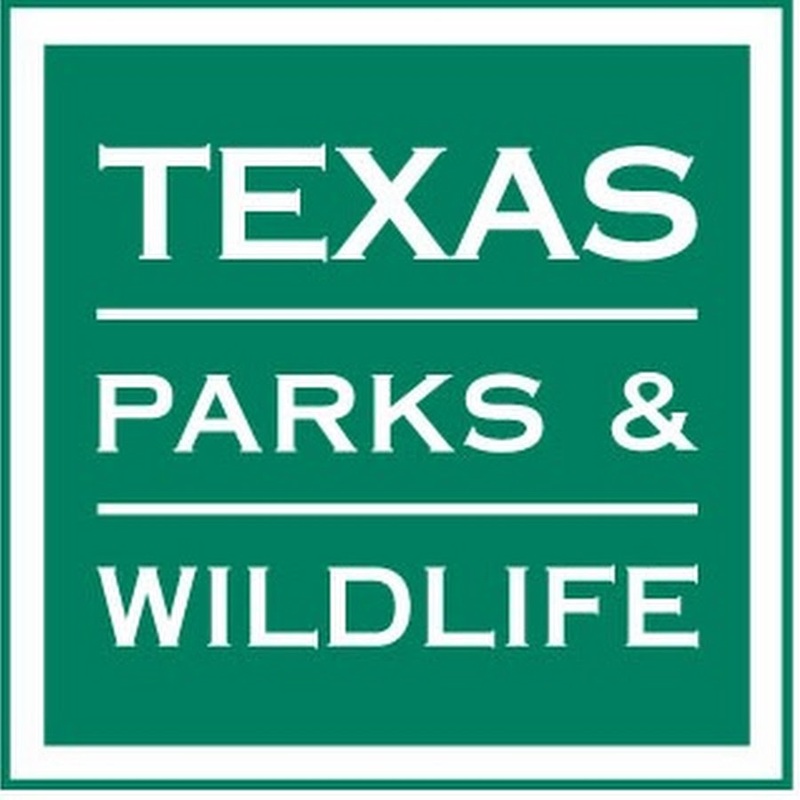 Costs are kept low for Project WILD and Aquatic WILD through generous grants from Texas Parks & Wildlife and San Antonio Audubon Society.